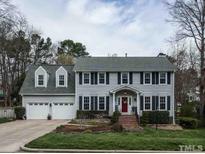 Below you can view all the homes for sale in the Macarthur Park subdivision located in Cary North Carolina. Listings in Macarthur Park are updated daily from data we receive from the Raleigh multiple listing service. To learn more about any of these homes or to receive custom notifications when a new property is listed for sale in Macarthur Park, give us a call at 919-634-6501. Great neighbors on all sides and a friendly, welcoming community. Feels like home. MLS#2243442. 1071. 4 bedrooms on 2nd floor- including Master which has separate sitting area & lovely bath w/ tub & separate shower. MLS#2237804. 1618. 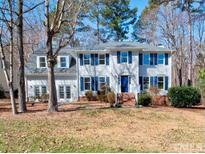 Minutes to the Fresh Market, , Publix, Harris Teeter, & Hmart. MLS#2234059. 4892. Light wood cabinetry, track lighting, center island. MLS#2225955. 4529. Second floor with new carpet, new tile in hall bath, fresh paint & a 14x9 bonus to use as office/craft/play area MLS#2153968. 986.